Many homeowners are opting for entertainment centers where family and friends can socialize and spend time together. 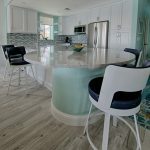 These entertainment centers are much more than a living room that displays a television; it’s a place where people can connect and relax. One notable trend in entertainment center design is that these areas are becoming increasingly minimalist. Instead of having everything from an Xbox and piles of magazines and books on display, items are being stored in smartly designed built-in units. Many people like to be able to display a few ornaments, family pictures or books in their entertainment centers. A built-in wall unit with open shelves gives a clean appearance and enables you to add a few personal items without weighing down the room. 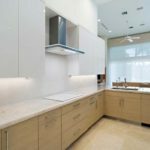 While some people like the traditional look of wood on-lays and carved wood embellishments, an increasing number of people are opting for metallic fittings on their built-in cabinets, such as polished chrome, brushed nickel, and brass. Textured glass to create a one-of-a-kind built in. 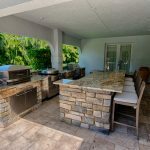 Instead of going back and forth to the kitchen for food and beverages, you can easily install a customized built in bar or hospitality area. The bar can neatly hide a refrigeration and conceal items such as glasses and plates. 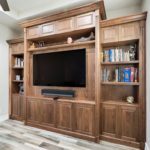 At Schrapper’s Fine Cabinetry, Inc., our team of designers can meticulously draft a design that works with the schematics of your entertainment center. We will then discuss, suggest and recommend the decorative features and primary materials to ensure that your built-in stands out.